Students and staff at Nelson Academy, the new middle school that opened Sept. 5 in Signal Hill, celebrated during a recent grand opening and ribbon-cutting ceremony that included school and city officials, student performances and tours of the campus. The school is the first campus built with Measure K school bond funds, which are protected from state budget cuts and must be used solely for construction and renovation. 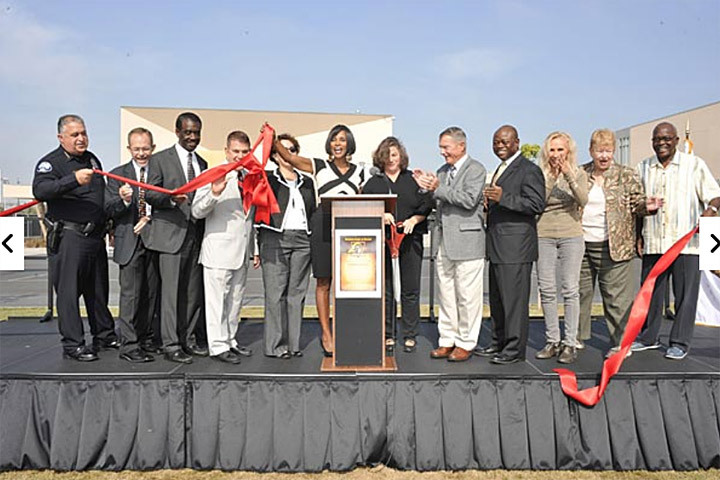 Learn more about Long Beach's newest school. CELEBRATION – The Nelson Academy Choir performs at the school's recent grand opening ceremony. Also performing were the Nelson Academy Drummers and the Polytechnic High School Jazz Ensemble.